You guys when I saw that one of my photos was one of the most liked photos in 2018 on The Find Labs Instagram I was so excited! I can’t even believe it, they develop some of the best photographers film in the country, and one of my images made the top 9. The Find Lab is such a great lab and they are so good for getting my images back to me in a timely fashion and ready to send out to clients! Head over to their blog to see the other amazing images that made it to the top! Did you know that I offer all film shoots? I don’t do them often but I sure do love them! Often I will shoot a couple of rolls here and there on shoots, but if you want to guarantee to have film shot for your wedding, couple shoot or family shoot, just ask and we can make it happen. This image was taken on a Pentax 645 nii, with Fuji Pro 400 H film. This shoot was from Heather Nan‘s illume workshop, everything was styled to perfection by Rachael Ellen Events. I always obsess over bouquets from Soil and Stem, the white ranunculus and sweet peas were the perfect combination for this delicate bouquet. I loved the natural elegant look that Janelle Ingram did for the hair and makeup, this look will never go out of style! 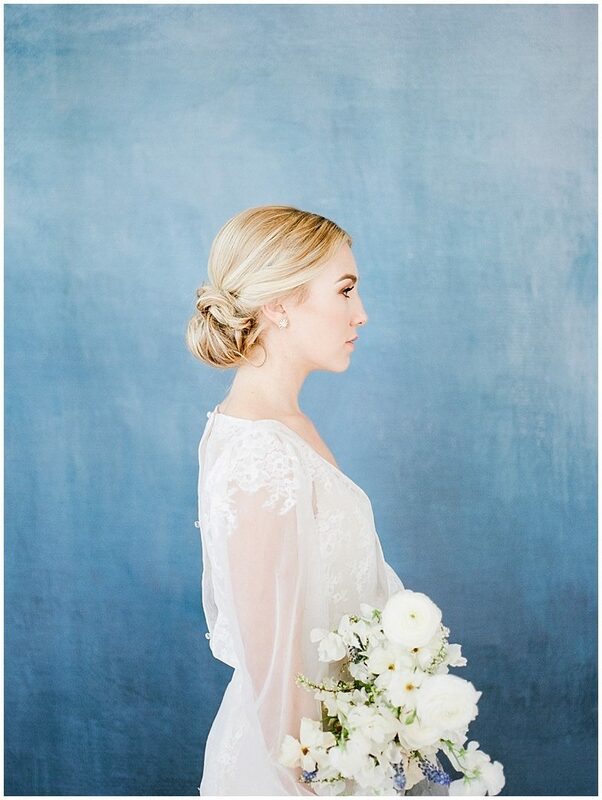 Brynn looked absolutely stunning in the Helen wedding dress from Jean & Jewel. I try not to do too many styled shoots, but it is so important to continue your education. This workshop from Heather was so perfect to hone in my skills on lighting and film photography. To see the full blog post on this shoot click here, there are lots of beautiful details you won’t want to miss out on!